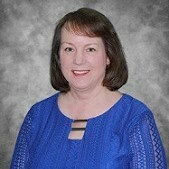 Janet Fluker is a Licensed Professional Counselor that has joined the Georgia Behavioral Health Professionals group in May 2018. Janet has strong skills in couples and family therapy including working with families with addiction. She takes a psycho-dynamic approach to working with individuals, using the strength of the therapy relationship to create safety and change. Janet also offers workshops on Working with Families Affected by Addiction. Janet attended Georgia State University with a Masters degree in Community Counseling. Janet has strong skills in couples and family therapy including working with families with addiction. Janet is a Supervisor for Licensed Professional Counselors, Advanced training in Emotionally Focused Couples Therapy, Member of Atlanta EFT, and Chair of the International Association of Family Addiction Professionals.